Residents at Woodruff Residential Center are used to seeing College senior Rudy Oku around their hall, where he works as a Resident Advisor. However, not many of them know about his commitment to the passion he considers central to his identity: breakdancing. While Oku said it has been hard to balance all of his commitments, he said that he owed his success to his sense of structure, a virtue that touches every aspect of his daily routine. Oku has faced many challenges throughout his time at Emory, and through those challenges he has been able to refine his way of life and learn more about himself. Although he dislocated his left shoulder in 2011 and was told he could never dance again, Oku combined his strong discipline with his fervent passion and never gave up. Each morning he watched motivational videos on YouTube, and trained for about five hours throughout the day. With that daily effort, he said that his skills began to grow. Eventually, he competed at a Kennesaw State University dance tournament where he placed in the top eight. He said this experience serves as an example of what he thinks true discipline can accomplish. In order to become truly disciplined though, Oku believes he must be completely self-aware. He designed his room thoughtfully, creating a relaxed atmosphere that welcomes a sense of focus. It is lit by two lamps that warm up the room. A guitar case pokes out from beneath his bed, easily accessible. He keeps his favorite sneakers on a display rack against the wall; his hats hang like works of fine art. Small plants sit by the window, angled towards the sunlight. He speaks slowly and consciously. He wears a simple olive green t-shirt tucked into dark fitted pants. He styles his black hair over to the side ,and bold black frames complement his face. While Oku sits and chats with visitors to his room, he shares his love for coffee, which he offers in elegant, ceramic china. 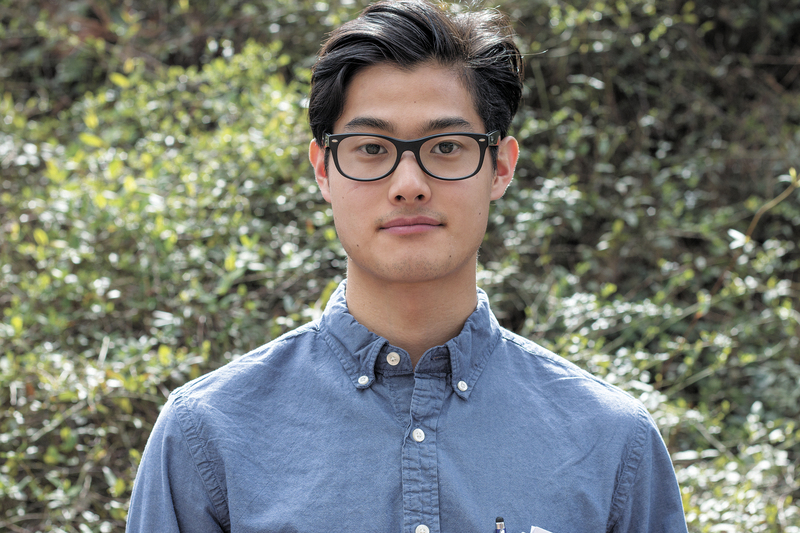 He considers drinking and enjoying coffee to be his other main passion outside of Emory. While Oku’s day-to-day routine is full of structure and discipline, his path at Emory had many twists and turns. 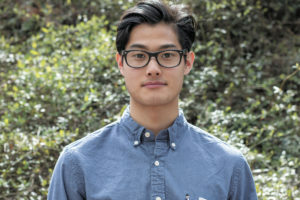 During his freshman year, Oku wanted to pursue a creative writing major on the pre-med track.After a year, he decided to try economics instead of creative writing. He completed the pre-med track, but was rejected from each of the medical schools to which he applied. .
After being rejected from medical schools, Oku re-evaluated his choices at the beginning of his senior year and considered trying a less traditional path as a street dancer in Los Angeles or a fashion designer in New York City. His love for coffee tempted him to become a barista but eventually, Oku decided on a career in transfer pricing with Deloitte Touche Tohmatsu Limited. A field similar to consulting, transfer pricing has much to do with international tax. Transfer pricing will allow Oku to work on different projects each year and also utilize his degrees in mathematics and economics. But Oku’s positive outlook on his career is unsurprising— he doesn’t believe in failure.